Holy Trinity Church, founded in 1847 for German Catholics. Sts. Peter and Paul Church, founded in 1848 for Irish Catholics. St. Vincent de Paul Church, founded in 1838 for French Catholics. When the congregations of St. Vincent de Paul, Holy Trinity, Sts. Peter and Paul, St.
long habit, many New Orleanians still refer to this church as St. Vincent de Paul. 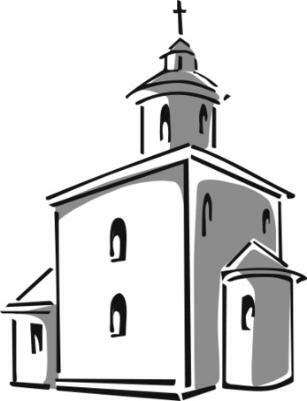 a larger bulding was required and construction on the present church was begun. 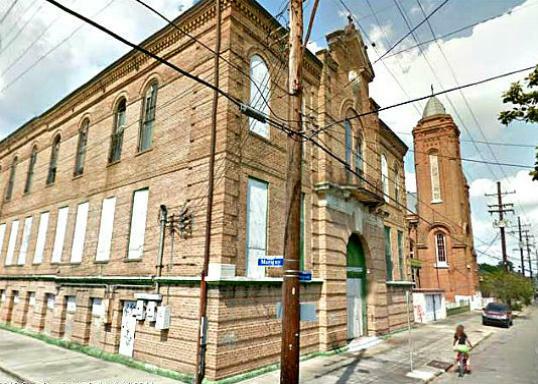 New Orleans Fire Department, the church's beautiful stained glass windows were spared. damage. But, shortly after that, work began and the church was beautifully restored. constructed in 1853. The towers were damaged by fire in the late 1800's, but restored. 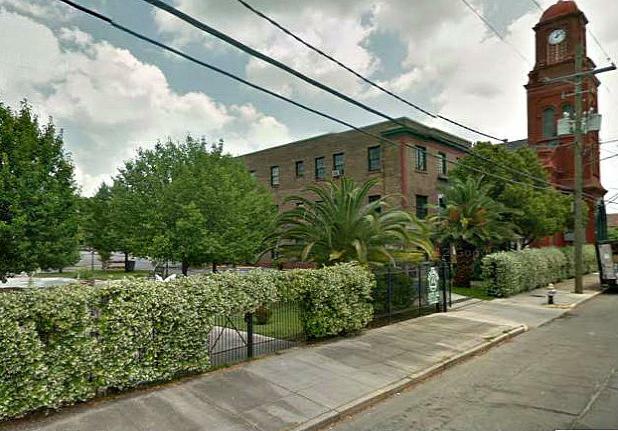 Thevis, established St. Roch Cemetery and helped design its well-known gothic chapel. community. I don't know if these plans have come to fruition, but I hope they have. 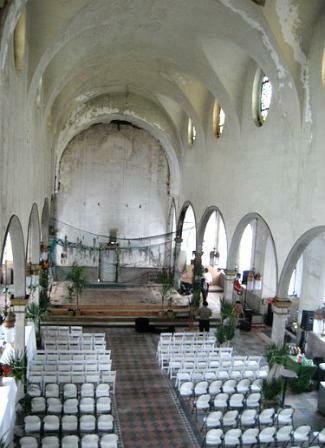 It's hard to think of the historic old church sitting empty and decaying. the last two years; I took the second photo below in 2006. Left: photo of the interior of Holy Trinity Church in the 1940's. Right: interior of the church in 2010, thirteen years after it was deconsecrated. 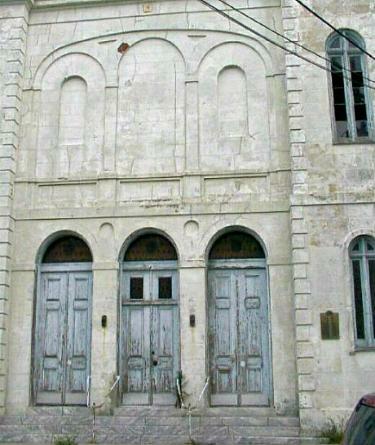 sought a church of their own and, in 1860, a building was constructed on Mandeville Street. Burgundy Street in 1860. Construction of the present building was completed the next year. the church. I hope that the time will come when they're able to be seen by the public again. 2010 interior photo of Holy Trinity is thanks to Infrogmation@WikimediaCommons. 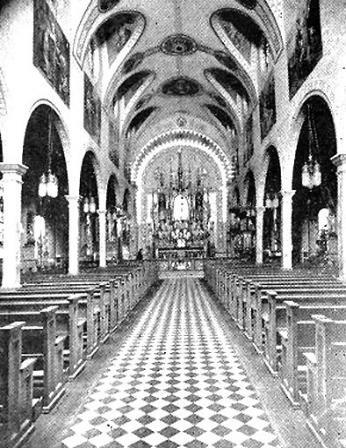 1940's interior photo of Holy Trinity is thanks to NewOrleansChurches.com.